Every weekend we grab a game… if we finished the one from the previous weekend. The game is voted on with games release the week we are in carry a half vote. This way we don’t have everyone in the office voting in the new game, it has to be something everyone has thought about a bit. Of course, there are games that came out the same week which win because ‘everyone’ is hyped up. This weekend, we went with a game a few weeks old, Stand O’Food. It was best suited to take home as a family game. Some of the driving winners get limited play time over the weekend due to family makeup. We will do a better job going forward at letting you know how games go. 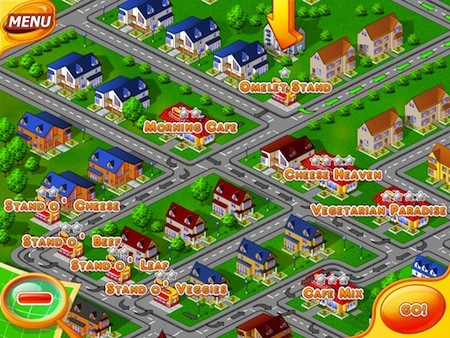 Stand O’Food is a HD game specific for the iPad. A game that stresses your time managment powers. While speed of your movements is important, planning is more important. A variety of resteraunts are given to you, each with unique types of food and very picky customers. 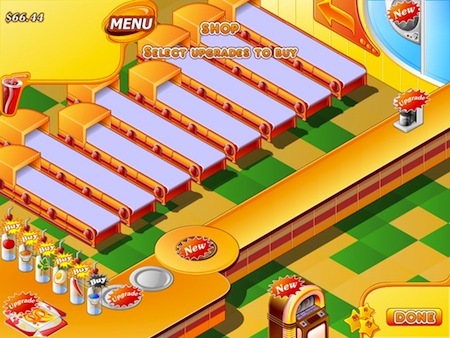 As you move through the levels, you gain a new type of resteraunt. People that come in and line up with their orders don’t always order something you have ingreadients ready for… that is where planning and timing comes in. Keep the line moving, people happy by thinking ahead. Hmmm… think they will do a software developer version of this game someday? 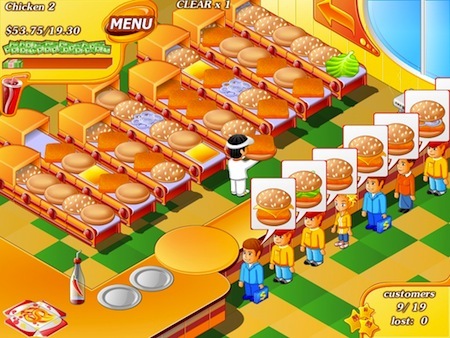 There are many options for food service games available in the iTunes app store, this one sells for $4.99. The HD version of Stand O’Food goes beyond the norm with it’s 3D graphics and the fore mentioned planning needs. Another unique feature of the game is it has upsells, 20 of them, for in game purchases. We have been playing for two days without needing to buy any but will just to be able to report how things change. To keep things going and you interested, the game has 80 different sandwiches to make across 100 different levels of play. We noticed an earlier version got a lot of crashing complaints but everyone, like us, are not having any issues with the latest.